I wanted to make a few changes. 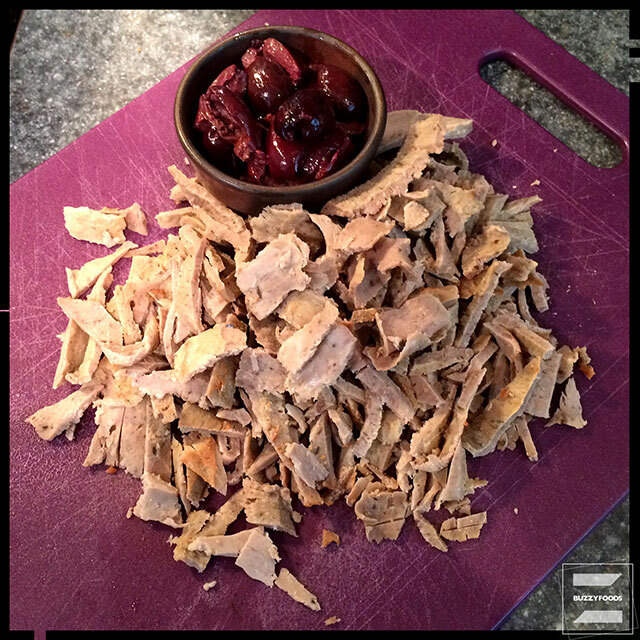 I had something a little bit better (and easier) in mind; pita chip crackers and, in place of ground lamb why not chopped slices of gyro meat? And, when I thought gyro meat, I immediately thought “Mama K’s!” – our favorite place for pizza, gyro salad, and Reuben sammiches. In truth, most everything else they make is probably excellent, but I am so taken with the pizza, gyros, and Reubens that I have a hard time even thinking about trying something new. So, armed with the knowledge that Mama would make things better, I went ahead and ordered two pounds of sliced gyro meat and two containers of tzatziki sauce. Don’t get me wrong, the dip, the meat, and the tzatziki were all excellent; I just ordered too much meat and mebbe too little tzatziki. 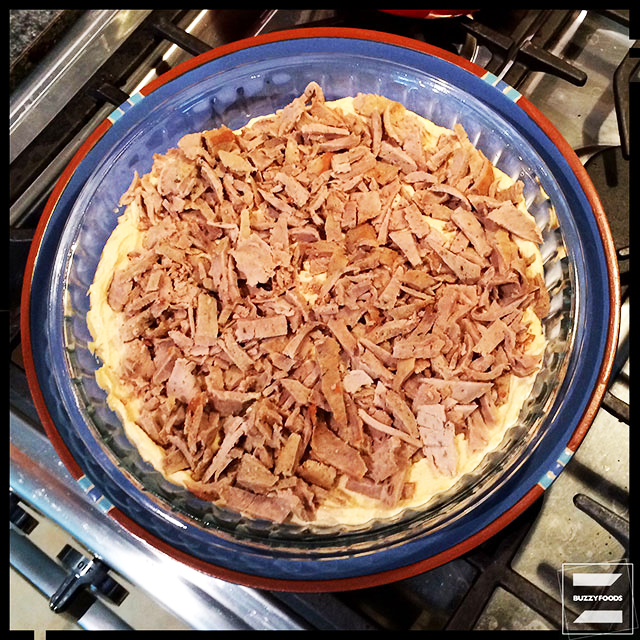 The original recipe called for one pound of ground lamb, so I opted for one pound of the gyro meat for each dip I planned on making. 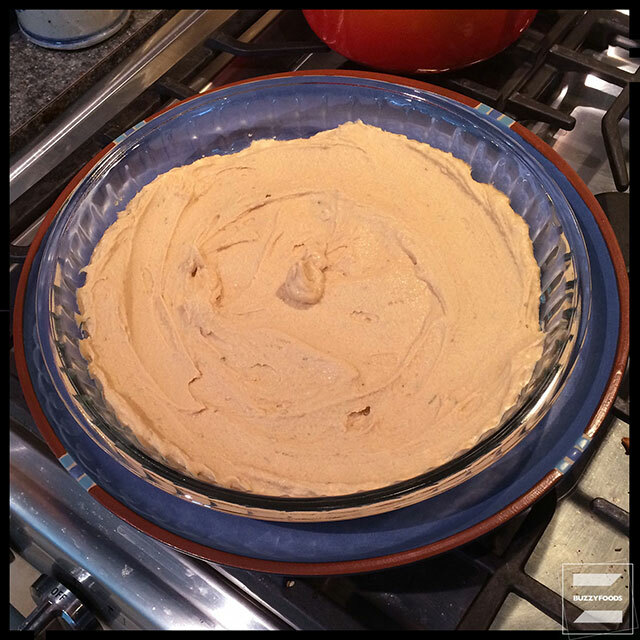 The image to the right shows about a half pound of the chopped meat arranged over 16 ounces of hummus in the bottom of an eleven inch pan – more than enough for a dip layer. So now, two gatherings (and dips) later, I still have a container in the fridge of Mama’s most excellent gyro meat and none of her tzatziki and I’m gonna need to improvise for a lunch or four. 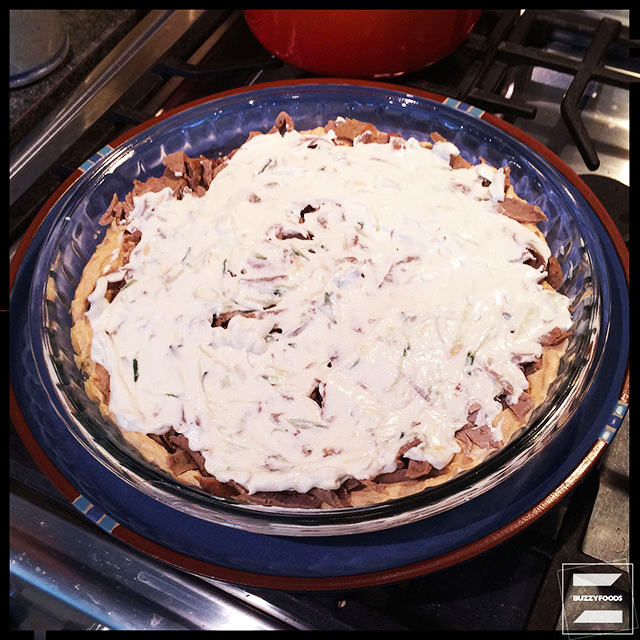 Spread the hummus over the bottom of a large, shallow dish, then top with the chopped gyro meat. 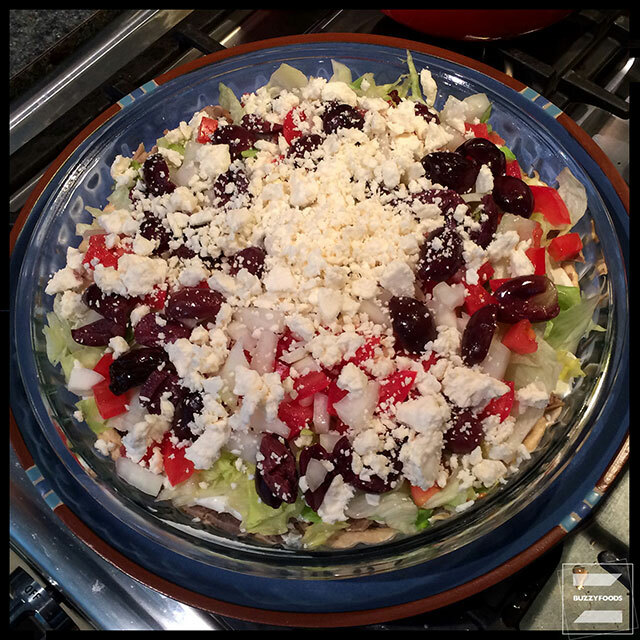 Spread the tzatziki evenly over the meat, then top with the lettuce, onion, tomatoes, olives, feta cheese and sliced peperoncini. Serve at room temperature with pita chips. 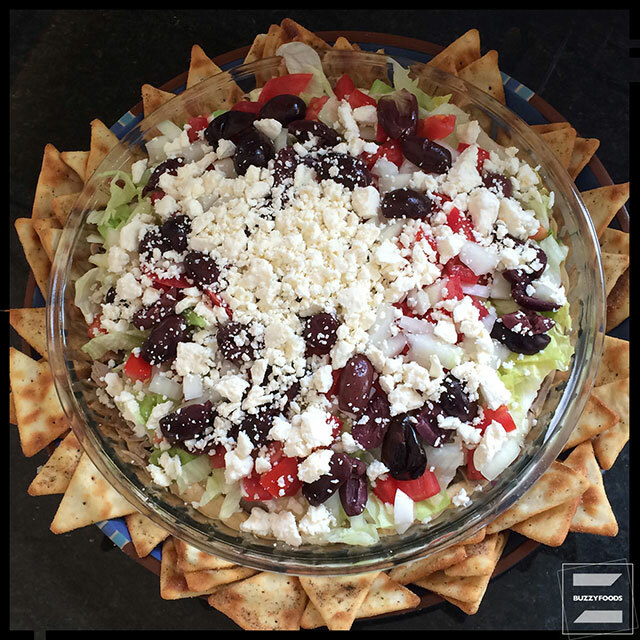 This entry was posted in Appetizers/Munchies, Lamb and tagged appetizers, Dip, Feta Cheese, Greek Layer Dip, Gyro, Gyro Dip, Gyro Meat, Hummus, lamb, Layered Dip, Munchie, tomato, Tzatziki. Bookmark the permalink.